Safety concerns arise when batteries are abused, used outside the design’s operational space, poorly designed, or beyond useful life. 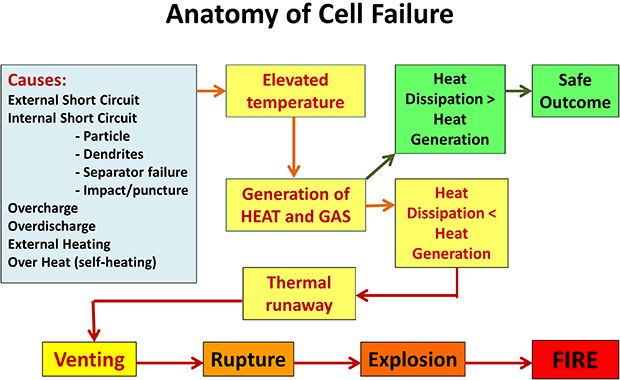 Heat generation and gas generation are the most common responses of batteries to abusive conditions--the most serious consequences occur when the stored energy is rapidly released in an unintended manner, triggering thermal runaway. This report presents the fundamentals of battery safety and abuse tolerance. It discusses materials, cells, and battery system design, manufacturing, applications, and validation, as well as the lessons learned from recent failures. Consult the Report’s critical review of cell, battery, and system safety to calibrate your own work in the field. Use this all-inclusive assessment of cell, battery, and system safety and the challenges associated with abuse tolerance and safety validation. Enhance your understanding of this crucial aspect of the technology and its role in your development work. Benefit from this unbiased expert assessment of materials, cell, and battery safety to sharpen your development strategy and funnel your R&D investment into the most promising technologies. President, Battery Safety Consulting, Inc. Chair of the SAE J2464 Committee that re-wrote and improved Society of Automotive Engineers Recommended Test Procedure J2464 “Electric and Hybrid Electric Vehicle Rechargeable Energy Storage System (RESS) Safety and Abuse Testing”; published November 2009. Authored the handbook entitled "Vehicle Battery Safety Roadmap Guidance" (Oct. 2012) which provides guidance to DOE Office of Vehicle Technologies' R&D program to improve electric vehicle safety. Established and managed the premier US battery safety testing facility while leading the Advanced Power Source R&D department of Sandia National Laboratories between 1992 and 2006. Principal Investigator for NHTSA's "Safety Performance of Rechargeable Energy Storage Systems" Program to improve xEV battery safety tests, March 2013 to September 2014. 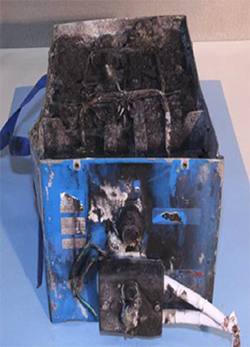 Provided expert testimony to NTSB Panel regarding Boeing 787 Battery Fire Investigation, 11 April 2013. Performed pioneer work on the safety of Lithium Sulphur batteries while serving as Vice President at Sion Power Corporation between 2006 and 2009.